The arctic ocean is part of some of the most unforgiving conditions on planet earth. 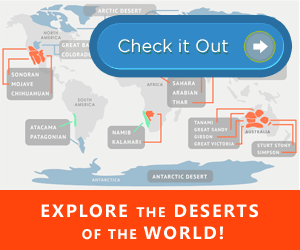 In spite of the frigid climate and unpredictable nature of the Arctic Ocean, there are still many interesting animals, sea life, cultures, and economic activity. 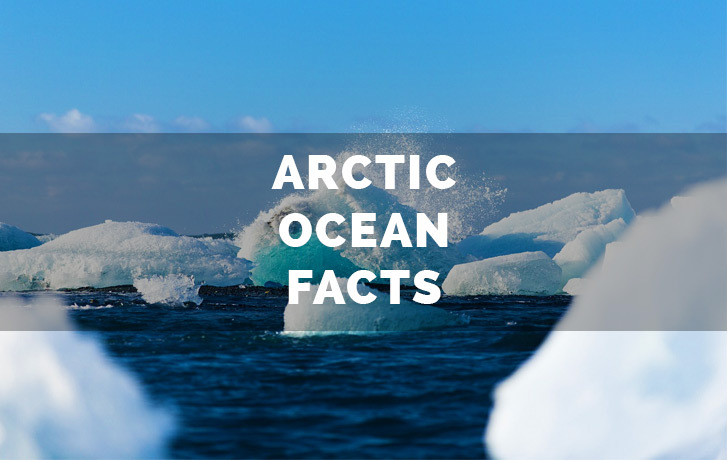 Below we list some of the most interesting facts about the Arctic Ocean for you to learn and enjoy. Polar bears, the largest land predators in the world, can only be found in the Arctic! A fully grown male polar bear can weigh up to 1000 lbs. You can find polar bears in the Arctic Ocean, but not penguins. They do not exist there. If you want penguins, you need to head south- to the Antarctic. Due to global warming, scientists predict that the Arctic Ocean will soon be ice-free around the year 2030-2040. It might be the smallest ocean in the world, but the Arctic Ocean is still big! It has a total area of 14 million square kilometers. Some oceanographers dispute the status of the Arctic Ocean as an “ocean.” These scientists sometimes classify it as a “Mediterranean sea,” or simply just an estuary of the larger Atlantic Ocean. A huge part of the Arctic Ocean is covered by sea ice. However, this ice pack has been constantly decreasing at a rate of three percent per decade since the 1980s. The icebergs that break away from the areas that surround the Arctic Ocean pose a huge risk to the ships that pass through the area. The most notable nautical accident that happened in the Arctic was the RMS Titanic disaster in 1912. Every year, from the months of October to June, the Arctic Ocean becomes virtually ice-locked. Ships can’t pass through it because of the thick ice. Not only is the Arctic Ocean the world’s smallest ocean, it is also the shallowest. There are lots of petroleum reserves under the Arctic Ocean. It has been estimated that a quarter of the world’s petroleum supply still remains to be discovered in the area. The Arctic Ocean, with its area of 5 million square miles, is roughly the same size as Russia. Sadly, if the rate of melting won’t slow down, the Arctic Ocean will be completely free of ice in a few decades. This means that polar bears will also disappear since they use the ice as shelter and as platforms when they hunt. You can find more species of fish in the Arctic Ocean than in any other body of water in the world. The Arctic Ocean is almost landlocked by the land masses represented by Canada, Russia, Alaska, Greenland, and Norway. All of the Arctic Ocean is located within the Arctic Circle. This area also includes the North Pole. Though it is smallest among the world’s oceans, it has the widest continental shelf among them all. This continental shelf extends 750 miles seaward starting from Siberia up to the Greenland Sea. The Arctic Ocean is connected to the Pacific Ocean through the Bering Strait, while the Greenland Sea connects it to the Atlantic Ocean. The Arctic Ocean has a very low salinity. In fact, it is the least saltiest among the five major oceans. The low salt content of the waters of the Arctic can be attributed to the heavy fresh water inflow from the surrounding river and streams and the fact that the Arctic Ocean is relatively isolated from the other five major oceans. Due to the tilt of the Earth, the Arctic Ocean gets at least one entire day of sunshine and one entire day of darkness every year. The submarine USS Nautilus first sailed the freezing depths of the Arctic Ocean in 1958. Aside from polar bears, one animal species that you can only find in the Arctic are the narwhals. These animals are also called as the “unicorn of the sea” for their large protruding tusks that resemble a unicorn’s horn. The Arctic Ocean is named after bears. Not polar bears though. “Arktos,” the Greek word from which “Arctic” is derived, is believed to refer to the two “bear” constellations- the Ursa Minor (Little Bear) and Ursa Major (Big Bear). Around ten percent of the world’s fresh water supply is contained in the Arctic Ocean and the ice that surrounds it. The ice in the Arctic ocean plays a huge part in keeping the region’s temperature cool (by reflecting sunlight). It also keeps the global climate stable. The Arctic Ocean covers 3.17% of the world’s total surface area. You can find three types of ice in the Arctic Ocean: fast ice, polar ice, and pack ice. Interestingly enough, the polar ice in the Arctic Ocean doesn’t melt. It can go as thin as only two meters in the summer, and as thick as 50 meters in the winter. There are four species of whale that call the Arctic Ocean their home. These are the gray whale, the narwhal, beluga whale, and the bowhead whale. The Arctic Ocean’s basin was only recently explored compared to the other oceans. The first surface nautical transit was only made in 1977 by the NS Arktika. The first person to have made a nautical crossing across the Arctic Ocean was Fridtjof Nansen. While Wally Herbert made the first surface crossing on dog sled. The deepest point in the Arctic Ocean is the Fram Basin. This basin has a depth of nearly five thousand meters. The Arctic Ocean’s North Polar Basin is divided into two areas: the Eurasian basin and the Amerasian basin. These two basins are then further subdivided into the Canada Basin, Fram Basin, Nansen Basin, and the Makarov Basin. Some of the environmental concerns that the Arctic Ocean face include radioactive contamination from the radioactive waste sites in Russia as well as the nuclear testing sites in Novaya Zemlya. Shell have planned to drill exploratory wells in the Arctic Ocean, which was met with a lot of opposition by environmental groups and the general public. The sea ice in the Arctic Ocean also serves to stabilize the methane deposits that can be found in huge quantities on and along its shorelines. Have Arctic Ocean facts that we do not have listed here? We would love to hear about them in the comments below!